During Advent we have been reminded of the tension between waiting patiently for the coming of Christ, and the urgency of knowing that ‘the times are short’. We are all aware of the anxieties in our national life over recent weeks, and the sense that we are living in a time that could set directions for many decades to come. It leads us to hold our nation in prayer this Christmas and to extend the invitation to know the peace of Christ in a time when there is precious little peace around. It also teaches us to base our hope not in the prospect of Brexit or the European Union or in any other human construct, but in Christ and his kingdom that is not of this world. May this Christmas be a time when we open our hearts and minds again to this wonderful gift of Christ, so that, as St Paul puts it, “the life of Jesus may be made visible in our mortal flesh.” (2 Cor 4.11). My prayer is that through the life and witness of our churches, God’s glory will shine and at this time of uncertainty our great city of London will know the peace that passes all understanding. July 5, 1948 was a great day in British history. It was the day on which Areurin Bevan, the Health Secretary announced the creation of the National Health Service. The NHS was one of the great triumphs of post-war British life. It is remarkable that out of the trauma of the Second World War, such a vision could emerge of universal health care, free at the point of delivery. At the same time it is perhaps an illustration of the fact that out of suffering and trouble, great ideas and visions can be born. It was perhaps another surprise to all of us when the opening ceremony of the 2012 Olympics, Danny Boyle chose the NHS, as one of the key factors of British life to be celebrated at that moment when 1 billion people around the world was watching. It was an inspired choice, and one that in the UK at least received enthusiastic approval. Americans of course found it much more perplexing. It has been one of the points of real cultural difference - we can never quite understand their preference for the system of health insurance, and they can never quite get our love for the NHS. It remains a remarkable achievement. It employs more than 1.5 million people, putting it in the top five of the world’s largest workforces, together with the US Department of Defence, McDonalds, Walmart and the Chinese People’s Liberation Army. The NHS was of course one of the pillars of the welfare state that emerged after the Second World War, inspired not least by the vision of William Temple who in 1941 published a book “Citizen and Churchman” in which he contrasted the ‘welfare-state’ with the fascist ‘power-state’ and defined its role in supporting the vulnerable. A year later, In 1942, now as Archbishop of Canterbury, he addressed the Industrial Christian Fellowship at the Royal Albert Hall, where 10,000 people turned up to support demands for post-war central planning of employment, housing and social security. Temple himself believed this was a full expression of Christian ethics in public and political life. The NHS emerged out of many different strands, one of which was a Christian commitment, articulated by William Temple and others, to health care. 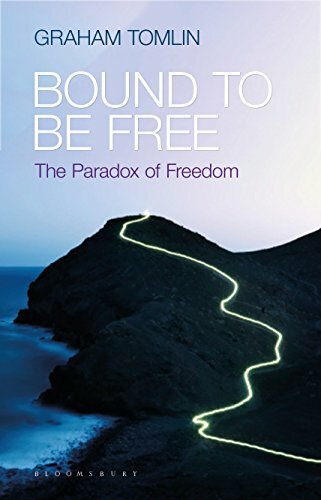 In particular, the Christian belief that each human being is a creation of the one true God, an object of his love, and for whom Christ died, is a solid grounding for the worth and value of each individual, and therefore for the principle that no matter what your background, wealth or income, health is something fundamental to human life, and therefore needs to be available indiscriminately across society. The welfare state in general, and the NHS in particular, was widely welcomed by the church at the time, and remains valued by the church today. And the church continues to play a vital role in the NHS, especially through the excellent work of hospital Chaplains, who play a vital role in caring for the whole person. Yet at the same time, there is a sense that when the NHS was created, the state effectively took over many of the functions that the church used to perform in society. Charity to the poor was replaced by the benefit system, education became the preserve of the state, and health care - long understood as a Christian imperative, with the long history of Christian hospitals provision going back to the very earliest days of the church, was taken over by the NHS. It has left the church with a bit of a problem - what is the church to do, when many of its traditional functions been taken over by the state? Does it just revert to more ‘spiritual’ activities such as worship, evangelism or Bible study? Or should it give its attention to the gaps in the social welfare provision, aiming to provide what the state cannot? This was perhaps part of the idea behind David Cameron’s Big Society, but it was also the source of the critique of that idea. The suspicion was that the Big Society was simply a means of cutting public services, while relying on local bodies such as churches to fill the gap. The NHS, like much of the welfare state, faces significant challenges right now. We all know that the NHS is expensive. When it was launched in 1948, it had a budget of £437m (roughly £15 billion at today's value). For 2015/16, the overall NHS budget was around £116.4 billion, funding which comes directly from taxation. The NHS is struggling with issues created by underfunding, so perhaps it might turn back to the church to fill the gaps? A recent brief analysis of the relationship between the church and the future of welfare, by Sam Wells, Russell Rook and David Barclay, pointed out that William Beveridge’s original vision began with deficits not assets. He wanted to address the five evils of Want, Idleness, Ignorance, Disease and Squalor. The difficulty of this approach is that it focuses upon what human beings lack, rather than what they are. People are not just recipients of charity, or assistance from the state, but are persons made in the image of God. in other words the role of the church is to focus not so much on what people lack, but what contributes to enabling people to live a fully and satisfyingly human life, flourishing in every way. This is a helpful analysis, because it takes the church beyond nostalgia for the days when it was the main provider of things such as healthcare, but also points to complimentary and positive future relationship between the church and the NHS, something I want to explore in the remainder of this lecture. The Christian church has always understood human nature as multifaceted. When asked about the greatest commandment Jesus replied: “‘Hear, O Israel: the Lord our God, the Lord is one; you shall love the Lord your God with all your heart, and with all your soul, and with all your mind, and with all your strength.’ The second is this, ‘You shall love your neighbour as yourself.’ There is no other commandment greater than these.” (Mark 12.29-31). Implicit in this statement is a very basic anthropology - while it may be hard to identify each of these terms with our modern understanding of human life, it embraces emotional, psychological, intellectual and physical dimensions. It also suggests that true human flourishing means not just the absence of disease or sickness, but positive relations of love towards God and towards other people. It is an essentially social vision of human life flourishing in ongoing and deepening relationship with our Creator, and in profound self-giving mutual love towards those placed around us. This fully rounded vision of human life for St Augustine was grounded in the Trinitarian life of God. As he analysed the internal life of humans, he saw the complex interplay of memory, understanding and will, or, when thinking about vision, he reflected on the thing we look at, our perception of that thing in our eyes, and the mental attention required to focus upon it. He saw in all of these vestigia trinitatis - traces of the Trinitarian life of God. This offers a vision of human life that requires more than just physical health. This complexity in human life corresponds to the rich inner life of God himself. All this is to suggest that we are not just bodies to be healed. We are certainly not less than this - and any Christian understanding of healing must include the physical, but it also has to go beyond this to a sense of what it means for human beings to flourish, which involves not just physical health, but also restored relationships to God and to other people in community. It also points us in a direction for the place of Christian healing in the age of the NHS. The Christian church has long had a concern for bodily and not just spiritual health, from the early care that the church gave to victims of plague and disease in its early years to the long tradition of hospital care in missionary contexts across the world. There are three theological foundations for a Christian commitment to healthcare – the foundational doctrines of Creation, Incarnation and bodily Resurrection, which all point to a concern for the material, the physical dimension of reality. For Christians this physical Creation is not an unfortunate accident, but was declared GOOD right from its very inception. That creation was reaffirmed in the Incarnation, when God took on human flesh – bones, sinews, brain, hands feet – entering the world in the person of Jesus Christ, the Son of God. The Resureection removes any doubt that Christianity is committed to creation and its ultimate renewal – the Resurrection appearances involved a body – a renewed one as we shall, see but a body nonetheless, as a sign of the renewal, not the rejection or surpassing of the physical Creation. Christianity is in many ways not a very spiritual religion. It does take the life of the spirit, the inner life of people very seriously but refuses to divorce that from bodily wellbeing and is very well aware of the links between the two. Medical knowledge did not extend to understandings of germs and bacteria, and so this was a world incapable of dealing with communicable diseases. Nonetheless, Christians seemed to do what they could, offering food and water for instance, to enhance the possibilities of survival, even if it meant increasing the likelihood of catching the disease. The Christian response was so markedly different from that of the surrounding society, that a century later, stung by the attraction and power of this witness that was drawing people to Christian faith, the apostate Emperor Julian launched a campaign to try to start pagan charities, that would match the Christians’ efforts. Such heroic devotion to the sick won many admirers, and quite a number of early Christian conversion stories testify to the attraction and power of such a witness. At the same time however, alongside this practical assistance and care for the sick, Christians also prayed for more direct forms of healing. In the early Christian centuries, stories abound of miraculous supernatural healing, unexplained and unaided by normal medical processes. Throughout Christian history, testimonies and stories proliferate, not just in less sophisticated societies, but even in our own, of Christian healing in answer to prayer. Of course such stories are contested, but however far we might be committed to a thoroughgoing materialism, it is hard to argue against the sheer volume of such stories, and at least the possibility that on occasion, seemingly in answer to prayer, medical healing is accelerated, disease is removed, and a measure of at least temporary healing takes place. I want at this point to turn to a historical and theological account of a Christian understanding of miracles. On the shores of the Sea of Galilee, where Jesus conducted most of his public ministry, there stood the Roman city of Tiberias. It is one mysterious aspect of the Gospels that this, the largest city on the lake, is never mentioned within the Gospels. It seems that Jesus never went there, perhaps because of its association with Roman imperial power. Tiberias was well-known for its healing springs, which drew people from miles around, coming in search of healing. It is an intriguing suggestion that the reason why so many sick people were drawn to Jesus was that they had come to Tiberias, had not found healing in its healing springs, and therefore came to this charismatic preacher to see if he could help. And Jesus did heal many. Reading the gospels however, it is remarkable how much of them is taken up with an account of Jesus’ miraculous behaviour, particularly his miracles of healing. Of course he does teach and offer wisdom, he instructs his disciples and the crowds, but rather than the miracles being illustrations of his teaching, it actually seems to be the other way round. In Luke’s Gospel, Jesus’ opponents accuse him of carrying out exorcisms through evil powers. Jesus replies that this doesn’t make any sense - if evil is fighting against evil, then it is divided kingdom and must soon fall. He then goes on to point out what he really thinks is happening: “If it is by the finger of God that I cast out the demons, then the kingdom of God has come to you.” (Luke 11.20). The message seems to be this: the kingdom of God is coming. You can see the signs of it all around you. In the space around Jesus, you can see the sick healed, the dead raised, the poor dignified. That is the good news - the ‘good news of the kingdom’, to use the phrase that Jesus himself often seem to use. It is not that Jesus came primarily to teach some new ideas, to offer a new philosophy to explain the way the world is, but instead he came to bring in the kingdom of God. His miracles are not an illustration and addendum to his teaching – it is the other way round. His teachings are in fact a commentary on what is happening in his actions. The teaching explains the significance of what is taking place as he heals the sick, raises the dead, walks on water, predicts the downfall of the Temple and goes to his death. These were the signs that the Kingdom of God was drawing near, that God’s rule had been set up on earth again, and was set to spread. Jesus’ teaching draws out the significance of these actions and helps those who have ears to hear to realize their significance. However, while much of Jesus is public ministry is taken up with miraculous healing, he did not heal everyone in Palestine in the first century. There is a scene towards the end of Nikos Kazantzakis’ novel, The Last Temptation of Christ, where the sick of Judaea pelt Jesus with their bandages and crutches as he carries the cross towards Golgotha, because he has failed to heal them all. Moreover Jesus’ healing miracles were only ever temporary miracles. All those whom he healed presumably got sick again one day and died. Even Lazarus, whom he was said to have raised from the dead, presumably died again one day, and was not resuscitated a second time. This relates to a theological problem often encountered with the idea of miraculous healing. If God heals in response to prayer, why don’t we do it all the time? Why doesn’t the Church organise healing prayer teams to wander around the wards of NHS hospitals, seeking to empty the beds - surely that might be a good way to address the problems of NHS funding, and to fill the churches in one fell swoop? There is a reason however why Jesus did not heal all of those in Palestine, and why miracles are of necessity rare events. That he made the world with a certain order, and structure of cause and effect, with a moral regularity to it, where actions carry consequences, and responsibilities. That this world has now been damaged as a result of a turning away at least part of that creation from its creator, allowing the virus of evil to enter the world, seeking to destroy all that he has created. That God still loves the world, and is at work to redeem it, and to rescue it, primarily through the sending of his Son to live, and die and rise again within that world, and the promise that he will one day restore it. Given all this, what would we expect in terms of God’s interaction with the world? He has a point. A world of continuous miracles would be a very unpredictable and unreliable world, one where you could never tell the results of certain actions, and in which any kind of moral structure or regularity was absent. A world in which God intervened every time something bad was about to happen, would be a world in which we never learnt the habits and virtues that lead to good and healthy human life, because you can never predict what the results of any particular action would be. However at the same time, a world without any miracles at all would be a world which God had appeared to abandon to its own devices. It would be the world of Deism - a God who winds up the world like a watch, and allows it then to run its own course. It would naturally lead to the conclusion that whichever God had made this world did not really care about it. I would suggest that this pattern, of miracles (for example miracles of healing, that cannot be explained by normal medical processes) which are by definition rare, occasional but real, is precisely what we should expect given the Christian understanding of God and creation - by God who creates a world with regular physical and moral order, a world which has become damaged through the fall, and yet a world that God loves, and promises to redeem. This view of miracles preserves the sense of the order of the world, and yet retains the freedom of God to interrupt that order from time to time for a particular purpose. In John’s gospel, miracles are described as semeia - signs. In other words, their significance does not inhere in themselves, but in what they point to. When a person is healed through prayer, it is of course good for that person, and perhaps an encouragement to the person who offers the prayer, but the significance of the miracle is something much greater. It is a sign, pointing to either the power of God which lies behind this remarkable occurrence, or perhaps more fully, a sign of the day when all sickness will be banished, the dead will be raised. The point is that Jesus’ miracles of healing always point away from themselves towards something else, defined here as the kingdom of God. This of course, is shorthand for the place, or state, where God’s will is done, on earth as it is in heaven. Jesus proclaimed the kingdom of God, not just as an empty philosophical idea, but as a practical reality. This kingdom however is more than just physical healing of disease. It is a much bigger idea - a vision of human society not just healed of its problems. It offers a vision of exactly that flourishing, fulfillment, inspiration, blessing and hope that we mentioned earlier. Christians pray for healing, not just to supplement the work of doctors, and certainly not to prove that somehow clergy are more powerful than consultants (! ), but as a sign of a much bigger picture of human flourishing - a positive vision of what human life and society is meant to be like. The greatest miracle of all, of course, is the Resurrection, the overcoming of all the powers of darkness, of sin and death and Satan. It is, in Christian understanding, not just another miracle among many others, but is the one miracle towards which everything else points. The Resurrection indicates a momentous interruption to the normal processes of death and decay. The body of Jesus has been broken, torn, ripped apart by violent beating and crucifixion. The dead body is taken from the cross, and placed in the tomb, ready for burial. Yet at that point something else disrupts the normal course of physical death and decay. Out of the decomposing body, new life emerges. When Mary and the other disciples encounter the risen Jesus, whether in the garden, on the road to Emmaus, or by the lakeside in Galilee, they see a body which is both continuous and discontinuous from the pre-Resurrection body of Christ. Some disciples. Like Mary in the garden, or the couple walking the road to Emmaus, don’t recognise him when they first see him. This body appears to be able to pass through closed doors, not because it is ghostly and insubstantial, but because the walls themselves are not strong or substantial enough to stop him. When a gardener plants a bulb in the ground, the bulb begins to decompose. And yet somehow within that decaying bulb, new life germinates, a green shoot appears, and before long, a stem, and then a flower appears above the surface. At first glance, the flower seems to bear no physical resemblance at all to the bulb that was planted, and yet we know that the two are related: one has come from the other. Out of the dying bulb, a new kind of life has emerged. This is an image of what happens in Resurrection – both the Resurrection of Jesus and the future Resurrection of those who are bound to him by faith. The Resurrection therefore points to the greatest miracle of all – the healing of all creation that will one day come about. The healing miracles of Jesus therefore, and in addition the healing miracles that come about through the church’s prayer, are smaller signs of this great miracle which is yet to come. They too are brief, occasional momentary interruptions to the natural course of things, not to display the power of God, much less the supernatural or psychic powers of the healer, but pointing to the kingdom of God, the kingdom that we pray in the Lord’s Prayer will come one day ‘on earth as it is in heaven’. They are, if you like, divine nudges, reminders that God has not given up on his world, that he has not forgotten us, and that one day all of creation will be healed, just as this person has experienced temporary and momentary healing in the present. They are a sign of a much bigger healing – the healing of all things that Christians believe will one day take place. So let me draw these reflections to a conclusion. From this discussion of the nature of miracles, and their relation to the natural, created order of the world, I would suggest there are three things that the church does in its healing ministry, especially in a country where healthcare is well-developed, and offered generously and freely as it is through the NHS in Britain. First, the church should celebrate and seek to defend the NHS. It does so on the basis of two fundamental Christian convictions. The first is the conviction that each individual is of equal value before God, that health is one of the most precious of God’s gifts, and therefore healthcare should be available to all, regardless of ability to pay. This may from time to time mean the church calling government to account to support and defend the NHS. Second is our belief in Resurrection, telling us that death is not the worst thing that could happen to us, and is the potential gateway to a greater and more substantial life than the one that we experience now. Christians do believe in the possibility of a good death, and therefore can set limits on the offering of care, believing that there does come a point when it is no longer wise or caring to prolong life. Death has been overcome, and therefore is not ultimately to be feared. Decisions of how much treatment to offer and for whom are of course complex, and difficult to resolve. Because Christians can look death in the eye as a defeated enemy, they do not regard the sustaining of life at any cost as being the ultimate goal, and this perspective provides grounds for limits to the offer of health-care, while seeking to continue to offer the ideal of care available to all regardless of need. There have been a number of high profile recent cases involving children where doctors have taken the view that nothing more can be realistically be done to prolong life and therefore decided to withdraw ongoing attempts to sustain life at all costs – and that is very difficult for parents and carers. Christian faith in Resurrection, and the belief that this life is not the last word, can and does give people – both doctors and carers - strength and a framework for thinking to enable them to make such difficult decisions. Letting go of those who are dying is very difficult, and a belief in a life beyond this one can help people do this. Third, alongside its commitment to the medical profession, to the NHS and the ideals it embodies, the church also prays for healing. It does so not as a rival, or even a gap filling exercise for the NHS, seeking to heal what doctors can’t. It does so, recognising that every miraculous healing is significant not just for itself, or for the person healed, but as a sign of the kingdom of God, a sign of the resurrection of all things that will one day take place - a sign not just of a healed creation, but a restored and healthy social order. Christian approaches to healing should not be described as ‘alternative therapy’, as on the one hand Christians see a vital and important place for the more regular natural medical processes of healing, and on the other hand, prayer for miraculous healing is not seen as an alternative, or a rival to such medical care, but an adjunct, or perhaps better an extra dimension to the overall healing which God brings. Both medical healing and prayer for healing are incomplete, but significant signs of the day when all creation shall be healed, and to that end, we should give thanks for both the NHS, and ministries like the Christian Healing Mission, and encourage continued conversation and cooperation between them. They are both gifts of God, given for different purposes, equally of value as signs of God’s care for his world. Ministries like the Christian Healing Mission, therefore have a vital place in the life of the church and in the life of wider society, because they point to a bigger picture, a grander healing which does not simply include the physical, but also the social, the spiritual, the mental and the emotional. To end with one more final point: The one thing that neither the NHS nor the Christian healing ministry can provide is certainty. Doctors and nurses do their best, but bodies don’t always heal, and patients die. Christians pray, and sometimes people are healed, but, as we have seen already in this lecture, many times they are not, prayers go unanswered, and healing does not take place. In neither case can certainty be offered. Yet Christian faith does offer something sure and dependable. In the promise of Resurrection, it offers hope. This hope goes beyond physical healing, beyond even death itself, to the trustworthiness of a God who both sustains the world in being from moment to moment, preserving the order and structure of that world, and yet who overcomes all that seeks to destroy that creation, through the power of resurrection. Christian healing does not stop with prayer for healing, and the expectation that on occasion, God will respond to that prayer with visible and tangible physical change. It goes beyond that to offer something that neither medical practice nor miracle can provide: the certainty that lies with the faithfulness of the God of creation and redemption. In the marvellous film, the Shawshank Redemption, the main character, played by Morgan Freeman closes the film with the memorable line: “Hope is a good thing. Maybe the best things.” Sickness brings with it uncertainty and fear. While neither the NHS nor the church can offer the absolute certainty of physical healing, the hope that comes from a trust in the God from whom we came and to whom we will return, is perhaps the greatest healing of all. This is the text of a sermon preached at St Clement's church North Kensington on the occasion of the blessing of a garden for Peace, Healing and Justice on the 10th June 2018, the week of the one-year anniversary of the Grenfell Tower fire. In the Bible there are three important trees, one at the beginning, one at the end, one in the middle. The first was mentioned in our reading from the book of Genesis - the tree of the knowledge of good and evil. It is a tree that represents the choice placed before us - the choice to turn towards God, towards life and all that is good, or to turn away from him towards the darkness. As the story unfolds, it relates that fateful choice, repeated so many times since, to turn away from God, and love, and goodness, and instead to those destructive patterns of behaviour which lead to so much misery in our world. This tree therefore becomes a symbol of the tragedy at the heart of human life, our tendency to ignore and hurt one another, to damage ourselves, our neighbours and our planet, the entry of evil into our world. It is a symbol of the deep wound of creation, the suffering of the world that we are very conscious of here as we approach this coming week. 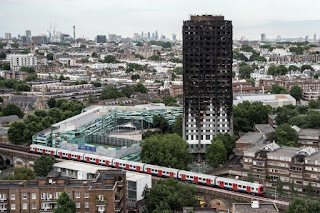 Like the tree of good and evil in the Genesis story, Grenfell Tower today stands as a symbol of tragedy, of pain and our failure to care for one another. Somehow that building was allowed to get to the stage where a small fire could so quickly get out of hand, with the resulting trauma that this community has experienced over the last year and the 72 precious lives that were lost as a result. Yet there is another tree - the tree at the end of the story, the one mentioned in the book of Revelation – “the tree of life with its twelve kinds of fruit, producing its fruit each month; and the leaves of the tree are for the healing of the nations.”It is a symbol of energy, prosperity, creation restored - the Christian hope that one day, evil will be banished, God will make all things right, that peace, justice and joy will reign. It is a symbol of life, just like the garden that we will dedicate at the end of this service. Yet how do we get from one to the other? How do we move from a symbol of tragedy and despair, to a picture of life and fruitfulness? That is where the third tree comes in. It is the tree that was cut down, and reshaped into a crude wooden cross, on which Jesus Christ, the Son of God was crucified, an event we recall every time we break bread & pour out wine, as we do today, to recall the broken body and spilt blood of Jesus. Christian faith tells us that when we grieve and sorrow, God does not stand far off watching, but comes to be with us right in the middle of that grief and sorrow. This week will be a painful and difficult one for many in this community. It will bring back harsh memories and vivid reminders of loved ones whom we have lost; the confusion, grief, anger of those days last summer and many since. Yet in the middle of that pain, we have this pledge that God meets us in it, and stands alongside us. According to this story, God is a Father who knows exactly what it is to watch a Son suffer and die, a God to whom we can therefore come with our sorrows. A small sign of that is this building, which, over the past year, has been a place at the heart of this community, where people have brought their tears, prayers, grief, longings - as we read in our gospel reading – like a shrub, where “the birds of the air come and make nests in its branches.” As this building stands in the heart of this community so God is present with us in our pain and confusion, offering us his presence and his comfort. And yet there is more. The Christian story also tells us that God enters into our human experience of pain not just to be with us in it, but to redeem and transform it. When something goes wrong, we have a deep and sure instinct that it can only be healed if justice is done. When something happens that breaks the harmony of God’s creation, when we damage and destroy each other, it cannot simply be ignored, glossed over and life carry on as normal - justice is vital if restoration and healing are to emerge. To put it differently, atonement has to be made. This world is out of joint with the purposes of its creator, and yet is healed by love - by the self-sacrificial love of God, in his Son Jesus Christ, who in that great act of love, takes on himself the consequences of our sins, mistakes and the harm we do each other, and atones for them on that cross, so that justice is done, and we and the whole world can be healed. In a mysterious way, that can take a lifetime to fathom, healing is brought about as God himself enters into our experience of pain and grief and loss, to redeem it and transform it from within. Healing comes through love – the love of God which enters right into our human struggles to transform them. The transition from desolation to joy can only come through justice. We hope, trust and pray that justice will be done through the Inquiry and the Police investigation. But God has already been present here this year, silently working to bring healing in every act of love, of kindness, of listening, people being brought together to urge for change, the courage we saw in the bereaved families as they told their stories at the Inquiry, the slow path to truth that the Inquiry is seeking to find, the lives that are slowly beginning to heal. There is a long way to go, but life is stronger than death, and there are signs of life if we have eyes to see them. As we gaze upon that second tree, the tree on which the Son of God was killed, we are assured that this same God that created us and gave us life, enters with his love into the very heart of our human experience of pain and grief to redeem it and transform it. And that is why we can have hope. After the death of Jesus came the Resurrection of Jesus. Suffering and pain are never the last word, but can be transformed by the love of God into healing and wholeness. It does not make the suffering and pain right, or take it away immediately, but it does offer the promise of transformation and hope. After a difficult year, it is that hope that we hold onto today, and that we need to hold onto. The garden we will dedicate later is a symbol of all this. This area, even Grenfell Tower itself has long been one where people from all over world live side by side, a place where the nations come together, so especially here it is fitting to remember this promise of the healing of the nations, wherever we come from. 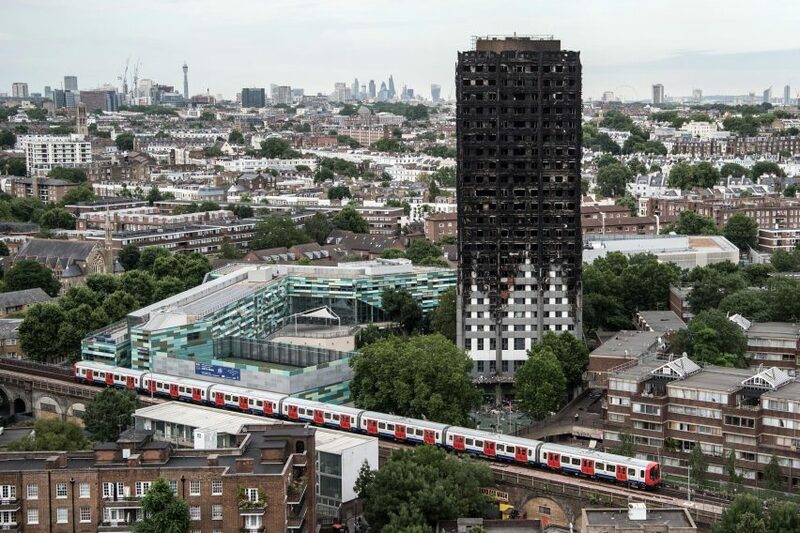 We long for Grenfell itself to change from a symbol of pain and suffering to one of healing and restoration. Imagine in 20 years time, looking back on Grenfell Tower as a the trigger for a sea-change in the way we looked after one another in our cities, a time we decided once and for all to provide good quality, safe social and affordable housing, when we learnt to look out for one another, even to love one another as good neighbours, not just in times of disaster but as a regular way of life, whatever our differences of ethnicity or faith? The road ahead, even the next few days ahead will not be easy. That is why we need to fix our eyes on hope. Hope is sometimes hard to find when everything around seems hopeless. That’s why we need thingsto hold onto, to touch to feel, to represent that hope. Today is a day that offers us symbols of hope: in this buildingwe have a sign of God’s presence with us to offer us comfort, shelter and a home, especially for those still waiting for theirs. In the bread and wine we are brought back to Jesus, the God who stands with us in our pain and redeems the suffering of the world, through his act of self-sacrificial love. I pray and trust that the garden that we bless today will be a sign of that tree of life, of the coming healing of the nations, a reminder of the hope of a new world, one where we have learnt to love the God who gave us life and the neighbour who is given to us to love. Whenever you walk past it, let it be a sign of the world that we long and pray for – a sign of God’s presence with us in the darkest of times, a sign that the world is healed through love, a sign that life is stronger than death. The Australian ball-tampering scandal, the Labour party’s troubles over anti-Semitism and the shameful story of what happened in the diocese of Chichester revealed in the inquiry into child sexual abuse - all of them have something in common - the ease with which organisational culture can slip to a point where the unacceptable becomes conceivable. The Aussie cricket team has been pushing the boundaries of fairness in what it takes to win for years. Hostile comments before series begin, sledging the opposition during games, aggressive behaviour towards opponents – they have been ‘butting heads’ with opponents for years. Small decisions, pushing the boundaries over time probably made the option of using some sandpaper to rough up the ball to win a small advantage in a series that was going against them seem just one more thing. It was nothing special, something they could get away with like they had got away with so many other questionable practices for years. The Labour party’s traditional sympathy for the Palestinian cause has allowed the cancer of anti-semitism to grow undetected, moving imperceptibly from a critique of Israeli government policies in particular to a hostility to Jews in general. Again, snide remarks, offensive tweets went unchallenged, all leading to a point where it became acceptable to habitually criticise Jews, defend anyone who did, or make whistle-blowers feel ostracised. In the diocese of Chichester, the problem began with trusting clergy too much, assuming they could not be at fault, turning a blind eye to rumours of clerical misbehaviour. That then gradually turned into a whole culture of covering up abuse, siding with the perpetrators not the victims, doing anything to preserve the reputation of the church over against the needs of survivors. A culture of secrecy allowed the virus of exploitation to spread, and the victims were those who should have been protected all along. In all three cases, I’m sure those who took those initial small, seemingly innocuous decisions never felt they were doing anything heinous. It’s only in retrospect that we can see the slow but sure slide to cheating, vilification and abuse. Those of us who have the responsibility for overseeing organisations of any kind need to watch our organisational culture like a hawk. Taking moral shortcuts, the easy way out, allowing lies or even half-truths to spread – it all leads only in one direction. St Paul once called for “purity, knowledge, patience, kindness, holiness of spirit, genuine love, truthful speech, and the power of God’ (2 Cor 6.6-7). All this points out the importance of keeping habitual standards high, holding to honesty, moral vision and courage at all times - before it’s too late.